There are different categories when doing translations for films. First, there's the translation of all written materials, including scripts and articles that are needed to support the film production. Then there is also dubbing and the creation of subtitles, which could be in several languages if the film is distributed for international release. And finally, the marketing materials, reviews and synopses that need translation work as well. Filmmakers and documentary makers normally work with translators when dealing with foreign nationals in the making of their film or documentary. Included here are interviews as well as articles that will form the background of the whole pre-production research. Interpreters might also be involved in the pre-production as well as on-site stages during the film production process. Dubbing and subtitling have now become major parts of marketing films to foreign audiences and territories. In dubbing, the film's audio track is changed so you will hear the characters "speaking" in a foreign language. Subtitling means that written captions in another language are shown at the bottom of the film, which must be synchronized with the film's dialogue for each scene. It takes a lot of hard work and dedication to be a translator for films. When doing dubbing work, the translators normally create a script that is based on the script used in the source language, which should also be synchronized with the movements of the characters' mouths. Likewise the translators have to take into consideration the culture of the target markets to ensure that no traditions and taboos are violated, that slang and colloquialisms are observed and that the dialogue is presented accurately in the target language(s). Other translation opportunities are found in the film's post-production work. Publicity materials for international distribution include movie trailers, online content, TV, radio and print ads and trailers. In special cases, film production companies also need to have their applications and dossiers translated for submission to film festivals abroad. 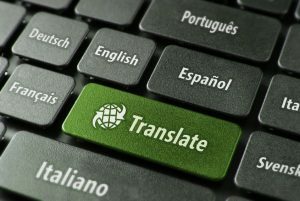 Although subtitling is more straightforward than dubbing, the translator must still have an in-depth knowledge of different cultures and how words are used in order to convey the meaning of the words to the fullest extent. Each country has a different requirement when it comes to translating films. The major translation modes are subtitling and dubbing, and the choice of which one to use depends on the status of the source and target cultures in the global context, the cost, the type in which the audience is used to, and traditions and circumstances related to history. Most films shown internationally come from English-speaking countries such as the United Kingdom or the United States. Since these countries seldom import films, whatever foreign films shown in their theaters use subtitles rather than dubbing. In the United Kingdom, most of the imported films shown are from the United States therefore film translation is not such an important issue in this country. Meanwhile, there are countries that are classified as dubbing countries, which include countries that speak Spanish, German, Italian and French. Majority of the films shown in these countries are dubbed. Historically, dubbing has been their preferred method of film translation since the 1930s. While there are dubbing countries, there are subtitling countries as well, where most of the imported films require subtitles. Countries included in this category are Portugal, Croatia, Slovenia, Greece, Denmark, Sweden, Norway and the Netherlands. There are also countries that require double subtitles, as the majority of the population speaks two languages, such as Finland and Belgium. Poland and Russia on the other hand are more used to voice-overs, because it is too costly for these markets to have the films dubbed. But despite dubbing being quite expensive, it is the preferred mode in Hungary, Bulgaria, Slovakia and the Czech Republic. Translating for films is difficult work. 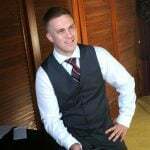 Even simple conversations must satisfy the target language's colloquialisms and terms that are standard in the industry. Subtitles have to conform to limitations of space and time. There is a limit to the number of characters that could be displayed to give viewers the time to read them. At the same time the subtitles must likewise be in synch with sound and picture seen on screen. On the other hand, the texts to be used when dubbing must be of the same length as the original. Subtitling is more problematic and limiting. 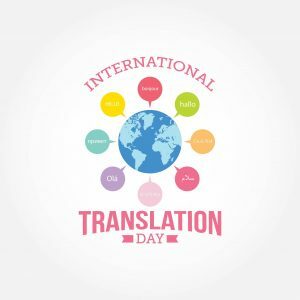 Translators have to be aware of cultural cues, such as technical, political, medical, law enforcement, diplomatic terms and other words used in other fields that are hard to translate in another language. Expressions and emotions are not easy to demonstrate using subtitles, given the number of text (about 30 to 60 characters) that could be shown on screen. Often the beauty of the dialogue and the emotions involved are left out, to be replaced by ordinary and brief words that would fit the space. Subtitles appear onscreen for only a few seconds therefore the viewer must understand what's been said in those precious seconds, hence the brevity. If there is hesitation in the dialogue, the subtitles might be left on the screen for longer but this does not happen often. Another difficulty faced when doing subtitles is setting the time-codes, which requires double the hours spent on the subtitles. Timing is likewise very important in dubbing. The translated texts must approximate the length of the original. Dubbing does not have to contend with restrictions on screen space, though. Moreover, dubbing gives the translator some edge in the translation, since the movie viewers are not able to hear the original dialogue. What are your thoughts about film translation? Share your ideas by leaving your answer on the comments section at the bottom of this page. 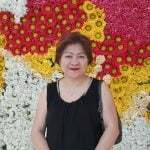 Bernadine Racoma is a senior content writer at Day Translations, a human translation services company. After her long stint as an international civil servant and traveling the world for 22 years, she has aggressively pursued her interest in writing and research. Like her poetry, she writes everything from the heart, and she treats each written piece a work of art. She loves dogs! You can also find Bernadine at Google Plus. If you desire to get a good deal from this article then you have to apply these strategies to your won weblog. Good day! This is my first visit to your blog! We are a group of volunteers and starting a new project in a community in the same niche. Your blog provided us valuable information to work on. You have done a outstanding job!